Good morning lovelies! With Summer just around the corner for so many of you, and feeling all inspired by that breathtaking beach inspiration shoot from Kirill Bordon Photography (if you missed it do take a peek here, it really couldn’t be any prettier!) I couldn’t resist a beach wedding inspiration board incorporating those lovely shades of blue and green that you only ever find on the coast…. Taken with the dreamy barefoot bride by White Loft Studio my starting point for this inspiration board is that soft, romantic greyed jade. It made me think of those treasure like pieces of sea frosted glass you sometimes come across washed up on the shore. Add a splash of dusky blue and just a sprinkling of sand and surely you have the perfect palette for a beach wedding, whatever the season. Such a beautiful natural setting requires the bare minimum of decor – let the landscape speak for itself. Infuse your wedding though with the rich and rustic resources readily available to really harmonise your celebrations with your surroundings – introduce driftwood to your tablescapes, echoes of waves in your details and pearls to your jewelry & accessories.….. I think they’re just perfect on their own, but you could easily warm them further with the addition of soft yellow (like in this nautical wedding) or a beautiful blush pink. There has long been something of a quintessential beach bride look and a long list of (dare I say ‘rules’? for) what a beach bride ‘should not’ wear – nothing ‘too bridal’, or ‘too long’ or ‘heavy’. And I can understand with the idea of a hot summer’s day and a relaxed destination wedding, where these ‘rules’ came from. However, when it comes to your big day I say there are no rules! 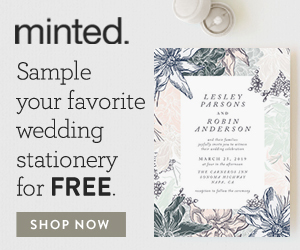 Your big day should be exactly that – yours! So don’t bend to preconceived notions of what a beach bride should wear, or be swayed into wearing anything that isn’t you or that you don’t absolutely love. Here are a few ideas for dresses that are perfect for a beach bride….. This exquisite Marchesa gown of delicate ivory lace trimmed with dainty pearlescent beading, perfectly balances vintage with bohemian beauty. A sleek ribbon defines the waist, and the skirt flares into an elegant, tulle mermaid hem with a short train. Scalloped eyelash edges trace the sweetheart neckline and could anything say beach more than those off-shoulder sleeves?? I love how the champagne charmeuse peeks through ivory lace on this Katie May gown, creating a graceful, romantic look. Light boning structures the bodice, whilst the deep scoop back and chiffon flutter sleeves add an airy relaxed finish. Could there be a more perfect wedding dress for the beach than Vivienne from Catherine Deane for BHLDN? With elegant corded lace and hand-embroidered silver beading on the bodice it is utterly glamorous, whilst the illusion tulle neckline and sheer back paneling add an extra light and delicate feel….. They echo the waves lapping at the shore a little don’t you think? Oh this post has made me yearn for a trip to beach! I envy you brides-to-be lucky enough to be looking forward to Summer – it has been decidedly wintery here the last couple of days (electric blanket time last night!). For more beach wedding inspiration take a look at CVB’s Beach Wedding Pinterest board – it has LOTS more inspiration for you beach bound brides!